Saudi Arabia’s influential royal Prince Turki al-Faisal al-Saud has said the kingdom would only consider cutting oil production if Iran, Russia and the US agreed to match those cuts because it wants to protect its market share. Speaking in London, the Prince who is a senior Saudi royal and the former head of the country’s spy agency, said that the kingdom would not repeat previous mistakes of surrendering its share of the global market for crude to its rivals. His remarks come just days after a controversial meeting of the Organisation of Petroleum Exporting Countries (Opec), when the group appeared split over a decision to keep producing at current levels. Prince Turki added that Saudi Arabia and other producers would only consider adjusting production if other members of Opec adhered to the group’s quotas and stopped making “under the table” deals to sell crude in barbed remarks apparently aimed at rivals Iran. The remarks by the outspoken Saudi royal will add to the view that the kingdom – the world’s largest oil exporter – is now locked in a bitter oil price war with the likes of Russia, Iran and shale oil drillers in North America. 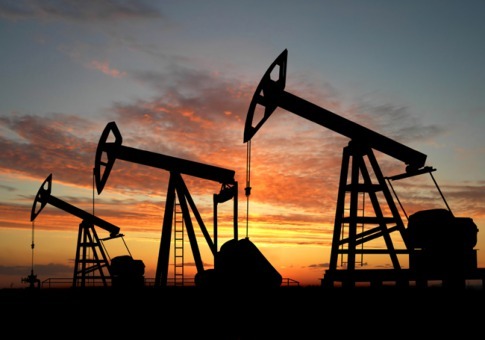 Oil has fallen by over 30pc since June to trade at around $70 per barrel with some analysts suggesting the level could fall further to as low as $40 per barrel. Russia’s Finance Minister Anton Siluanov, warned before Opec gathered on November 27 that the country faced an economic crisis from the loss of revenue incurred from falling oil prices. He said Moscow was losing around $40bn [£26bn] per year due to geopolitical sanctions and some $90bn to $100bn per year due to oil prices falling 30 pc. The kingdom may also be forcing the price lower to damage the Iranian economy amid a bitter political dispute between to the two regional powerhouses over the future of Syria. Prince Turki said that both Russia and Iran should stop supporting the regime of Bashar al-Assad in Syria and if they both got out of the country the government in Damascus would fall in a few months. However, Prince Turki argued that it was “over-production everywhere” and not a pre-meditated strategy by Saudi – the world’s largest exporter of crude – that was to blame for falling prices.